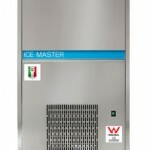 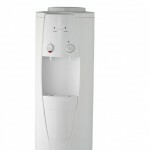 A new range of germicidal UV sterilisers available with a variety of flow rates and sizes to ensure bacteria proof water. 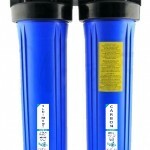 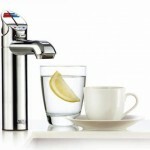 The UV Sterilisers can be adapted to any existing filter system or can be attached to any new water filter system. 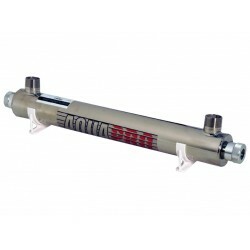 We stock a full range of replacement parts, lamps, quartz sleeves and ballasts. 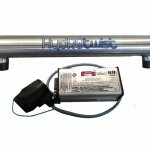 The HydROtwist 1GPM 12 Watt ultra violet UV steriliser will provide bacteria proof water with a flow rate of 1 gallon per minute (GPM) or 3.8 litre per minute. Complete in a 304 Grade stainless steel vessel with 1/4" female inlet and outlet this UV steriliser comes complete with ballast and plug and.. 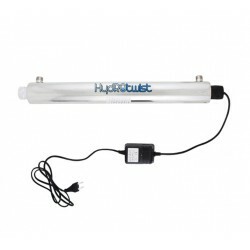 The HydROtwist 2GPM 16 Watt ultra violet UV steriliser will provide bacteria proof water with a flow rate of 2 gallons per minute (GPM) or 7.4 litre per minute. 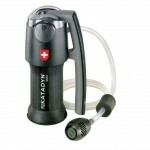 Complete in a 304 Grade stainless steel vessel with 1/2" male thread inlet and outlet this UV steriliser comes complete with ballast and pl.. 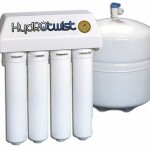 The HydROtwist 6GPM 25 Watt ultra violet UV steriliser will provide bacteria proof water with a flow rate of 6 gallons per minute (GPM) or 23 litre per minute. 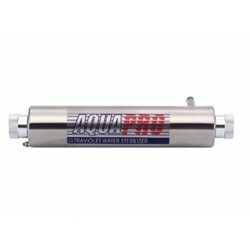 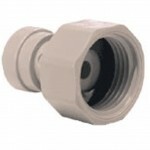 Complete in a 304 Grade stainless steel vessel with 1/2" male thread inlet and outlet this UV steriliser comes complete with ballast and plu.. 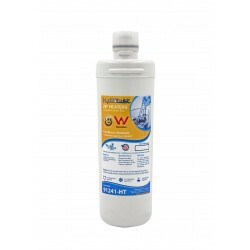 The HydROtwist 8GPM 30 Watt ultra violet UV steriliser will provide bacteria proof water with a flow rate of 8 gallons per minute (GPM) or 30 litre per minute. 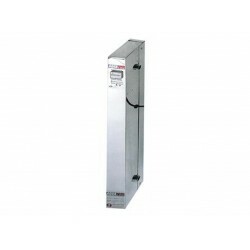 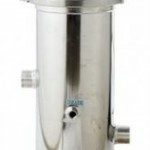 Complete in a 304 Grade stainless steel vessel with 3/4" male thread inlet and outlet this UV steriliser comes complete with ballast and plu.. 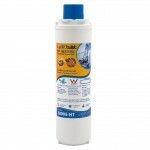 The HydROtwist 12GPM 55 Watt ultra violet UV steriliser will provide bacteria proof water with a flow rate of 12 gallons per minute (GPM) or 45 litres per minute. 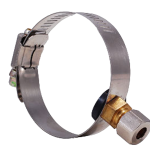 Complete in a 304 Grade stainless steel vessel with 3/4" male thread inlet and outlet this UV steriliser comes complete with ballast and .. 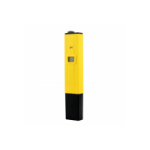 The HydROtwist 24GPM 110 Watt ultra violet UV steriliser will provide bacteria proof water with a flow rate of 24 gallons per minute (GPM) or 91 litres per minute. 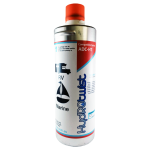 Complete in a 304 Grade stainless steel vessel with 1" male thread inlet and outlet this UV steriliser comes complete with ballast and p.. 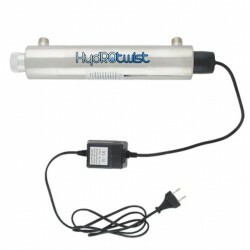 The HydROtwist 48GPM 220 Watt ultra violet UV steriliser will provide bacteria proof water with a flow rate of 48 gallons per minute (GPM) or 180 litres per minute. 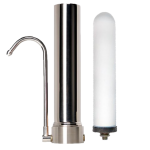 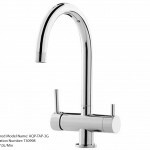 Complete in a 304 Grade stainless steel vessel with 1.5" male thread inlet and outlet, control box with lamp indicators and hour conter..
Aqua pro ultra violet UV steriliser will provide bacteria proof water with a flow rate of 1 gallon per minute (GPM) or 3.8 litre per minute. 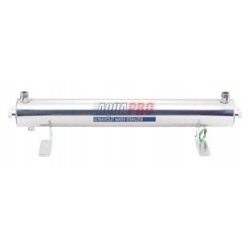 Complete in a 304 Grade stainless steel vessel with 1/4" inlet and outlet this UV steriliser comes complete with ballast and plug and has an inbuilt lamp failu..
Aqua pro ultra violet UV steriliser will provide bacteria proof water with a flow rate of 6 gallons per minute (GPM) or 22 Litres per minute (LPM) Complete in a 304 Grade stainless steel vessel with 1/2" inlet and outlet this UV steriliser comes complete with ballast and plug and has an inbuilt lamp..
Aqua pro ultra violet UV steriliser will provide bacteria proof water with a flow rate of 12 gallons per minute (GPM) or 45 Litres per minute (LPM). 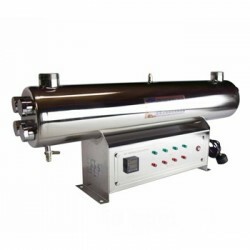 Complete in a 304 Grade stainless steel vessel with 3/4" inlet and outlet this UV steriliser comes complete with ballast and plug and has an inbui..
Aqua pro ultra violet UV steriliser box type with hour counter will provide bacteria proof water with a flow rate of 12 gallons per minute (GPM) or 45 Litres per minute (LPM)Complete in a 304 Grade stainless steel vessel with 3/4" inlet and outlet this UV steriliser comes complete with ballast and p..
Aqua pro ultra violet UV steriliser will provide bacteria proof water with a flow rate of 24 gallons per minute (GPM) or 91 Litres per minute. 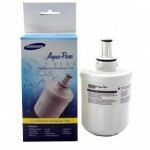 Complete in a 304 Grade stainless steel vessel with 1" inlet and outlet this UV steriliser comes complete with ballast and plug and has an inbuilt lamp failu..